take care to supply it to the body in the highest quality possible. The unique molecular structure of ID'EAU facilitates solving it. Mineral waters usually have the structure of multi-molecular clusters, which is not conducive to the proper hydration. The metabolic processes run effectively provided that we supply our body with the chemical compounds fundamental for its functioning in the proper quantities. 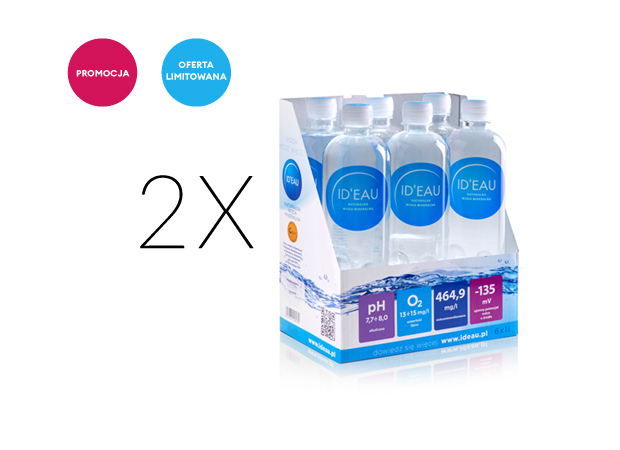 ID'EAU contains as much as twice more oxygen than most of mineral waters available in our market. Alkaline pH of ID'EAU is conducive to the acid and base balance proper for our body. Improper diet, stress and unfavourable environment conditions cause acidity in most of us. Drinking our alkaline water, you can positively affect maintenance of this balance. Order helps maintain the proper physical and cognitive functions of the body when it is consumed in the volume of 30 ml of water per kg of bodyweight, that is approximately 2 litres per day. 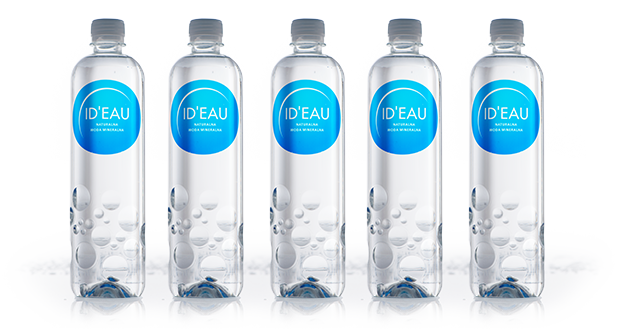 Combination of many positive features of ID'EAU very beneficially affects the human condition. The studies conducted in professional sportsmen proved significant effect on the rate of regeneration of the body and its resistance to long-term effort. The human body consists of about 70% water and is the most important structural element of our body. We lose daily large volumes of it through natural evaporation, sweating and excretion. Lack of supplementing shortages of water leads to unbalancing the basic life processes and further consequences. We must continuously compensate deficit of water to be able to function normally! 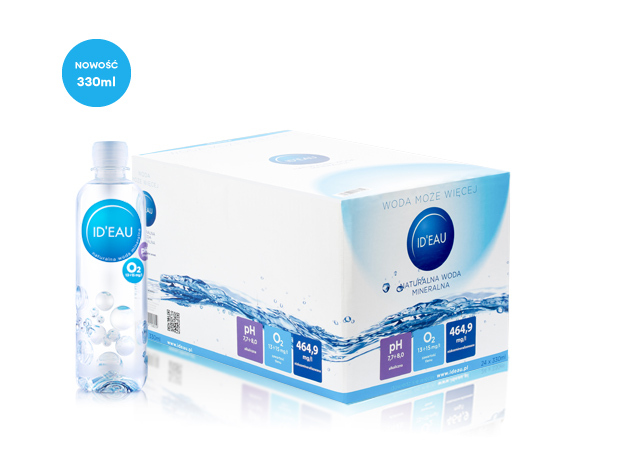 ID’EAU is a combination of the best nature supply with the most advanced scientific accomplishments! Crystal-pure water flows from the ecologically pure spring at Brama Morawska, from the depth of 60 m from under natural filtration strata. Aerated naturally, after flowing from the spring, water is aerated with the use of our proprietary, unique technology. Nonaggregated molecular structure: ID’EAU retains its extraordinary features owing to the packaging designed by our scientists, protecting against the effect of electric fields.